Why get an Oil Change at Northeast Ford? For some drivers, vehicle maintenance is a matter of who has the best oil change coupons. For others, going anywhere other than a dealership is completely out of the question. While both sides pose very convincing arguments, we’d like to point out a few key reasons why having your oil change performed at your local Ford Dealer Service Center is highly recommended. Although one of the most basic services your vehicle will ever need, having your oil changed is very important to the life of your engine. Regular oil and filter changes help your vehicle run with optimum efficiency. 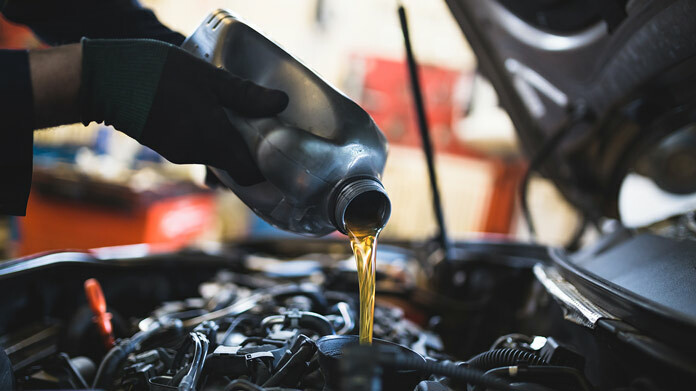 Additionally, the right oil helps keep your vehicle’s engine clean, helps reduce overall wear and maximizes its performance. At just 19.99 NorthEast Ford offers prices lower than most other Dealerships for your Vehicles Oil Change. If you’ve made an appointment, an oil change at your dealership should be a very fast process. Moreover, you’ll also enjoy the added comfort of relaxing in a clean, comfortable waiting room rather than sitting in your vehicle.